Resume – Connor Wood Bicycles — Wood bikes from Denver Colorado. Creative entrepreneur with a background in management, operations, design and fabrication. Thinks strategically, manages projects and leads teams of diverse talents to solve problems, promote brands and grow organizations. 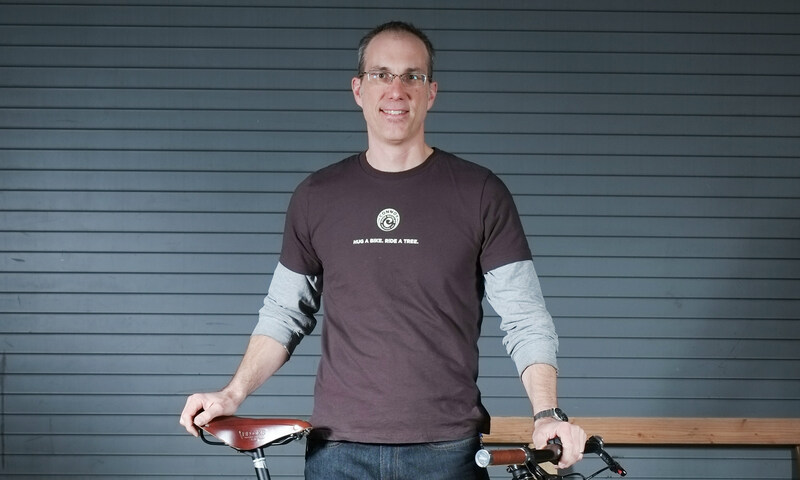 Owner, designer and builder of Connor Wood Bicycles. Launched wood bicycles as a viable alternative material within the traditional world of cycling and defined my brand as one of the worldwide leaders creating a new class of bicycles. Design, build, market and sell bespoke wood bicycles. Manage all aspects of start-up business including product development, sales, media, public relations, and marketing. Create new bike models and seamlessly blend modern bicycling technology and functional requirements with beautiful design and craftsmanship. Develop manufacturing processes with wood and composite technologies including CNC machining with CAD and CAM design. Incorporate new adhesive and composite uses in the traditional woodworking space to engineer new products. Developed a Human Powered Vehicle competition with University of Colorado. Worked with CU Mechanical Engineering team and a group of local high schools to start a competition between schools to further a STEAM (Science Technology Engineering Arts and Math) curriculum, focusing on coupling good aesthetic design with practical engineering. Contributed to grant writing to secure funding. Wrote competition rules and judged competitions in Spring of 2017 and 2018. Worked with expo team to produce a world-class cycling event in Denver. Sold booth space and promoted programming and event logistics. Produced ongoing new media marketing presentations. Worked with freelance content, design and programming team to create a series of short interactive marketing presentations and development of a new corporate web site. Managed the growth of a world-class guitar building business. Setup business structure and accounting systems. Optimized manufacturing operations with new procedures, jigs, fixtures and machinery. Established marketing communications, including web site, look and feel, product descriptions and product organization. Contributed to dramatic growth in sales and more efficient guitar production. Led the New Media department in its offerings and technologies. Managed and hired a team of programmers designers and video editors. Defined processes and workflow for producing new media and interactive presentations. Sold new media offerings, produced video and interactive presentations, defined scope of work, budget, timeline and technologies. Collaborated with internal departments to manage projects, resources, budgets and schedules. Managed technical and complex projects while leading strategy, creative, writing, and programming teams in the launch, re-positioning and branding of worldwide client companies and products from IBM, Level 3 and others. Planned, managed, sold and produced traditional and interactive marketing and advertising communications. Produced web sites, interactive presentations, e-mail and online marketing campaigns, and pay-per-click advertising. Developed initiatives such as creative platforms, key messaging guides, visual identities, and integrated marketing campaigns, including brochures, advertisements and direct mail. Developed technical project requirements, defined information architecture, created interface design and performed usability analysis. Wrote proposals and estimates defining scope of work and project budgets. Managed budgets and timelines and negotiated contracts and agreements with c-level clients and vendors. Transition company from traditional video to web and interactive media. Produce and sell industrial video productions. Create and produce interactive CD and Web-based presentations. Sell, manage, write and produce marketing web sites. Create database-driven web applications and customized web experiences. Lead transition from VHS-based video delivery to CD and Web delivery. Manage resources and staff.